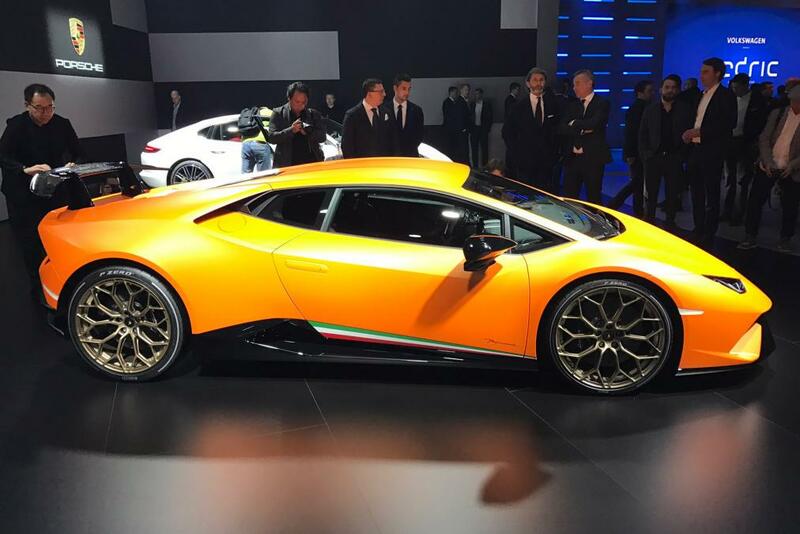 It’s the first big unveil at the Geneva Motor Show – the Lamborghini Huracan Performante. 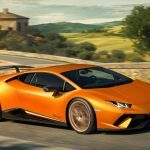 After the unveiling of the Aventador S it was only a matter of time before Lamborghini lifted the lid on a tweaked version of the Huracan. 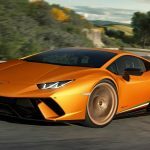 The car has been spotted in several spy shots over the past month and Lamborghini released proof after claiming the car lapped the Nurburgring in a record 06:52:01 time! Yes, really! That’s an extraordinary 5 seconds quicker than the Porsche 918 and a new record for production cars. Blimey! So what’s so special about it? 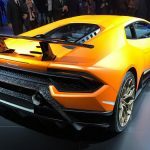 Well it’s pretty light for starters, weighing in at 1382 kg the car is now a good 40kg lighter than the original thanks to a carbon fibre construction. 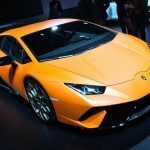 The other non power related performance gains come from new active aerodynamics which Lamborghini have assured helps in these epic lap times. 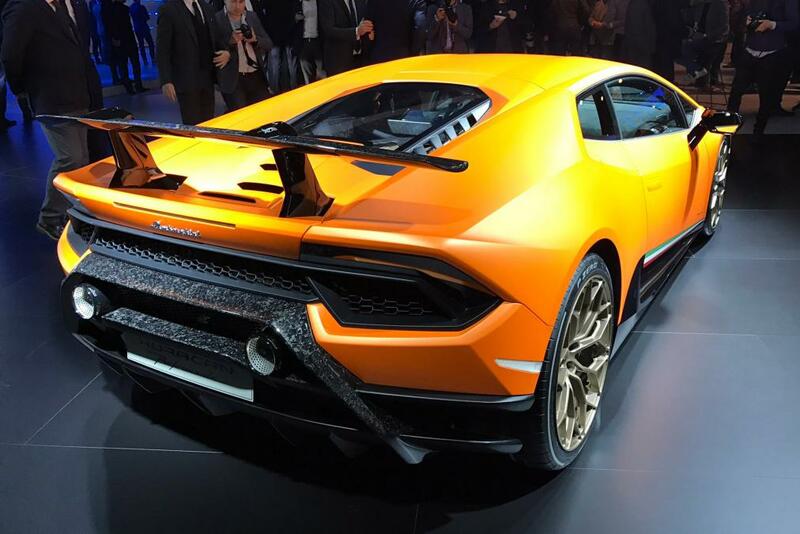 The new ALA (Aerodinamica Lamborghini Attiva) is said to improve downforce, aid braking by redirecting airflow and help corner at break neck speeds with electronic flaps that adjust on steering input. 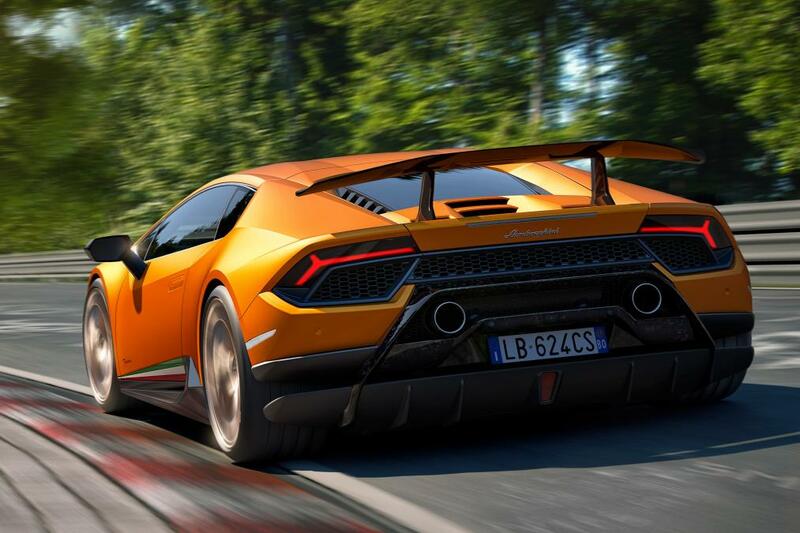 In a jargon filled world of active aerodynamics – Top Gear explain it with lots of technical detail. Suspension has also been tweaked with the springs said to be 10 percent stiffer among other chassis components that have been track honed. The whole car is now more planted than before, as that lap time suggests. Tell me there is more Power? We like power! There is of course more power, not much more than the regular model at +31 bhp taking the overall pony count to 631 bhp. The power coming from that beautiful naturally aspirated V10, now the most powerful version they’ve ever made. 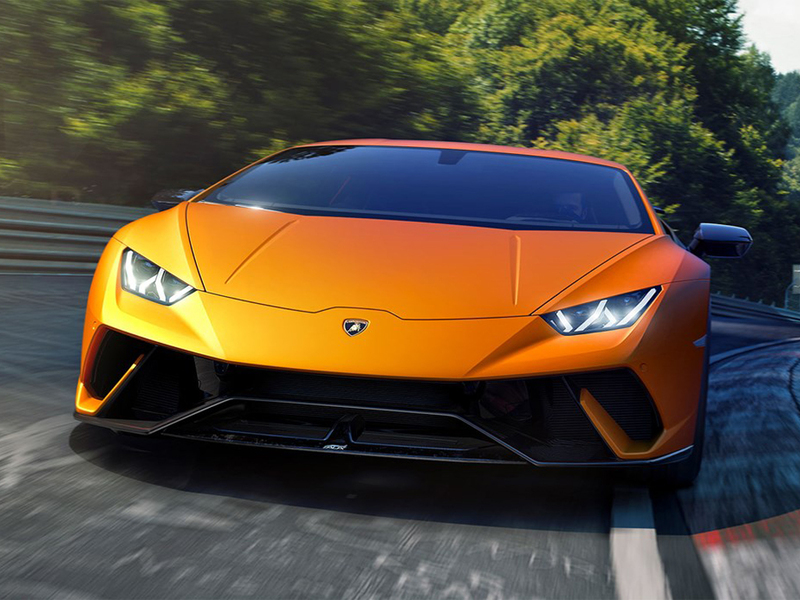 In an already powerful car +31 bhp is more than welcome, as the Performante is not all about raw power but rather the complete package – the stiffer suspension, active aero, lighter body and increased power. 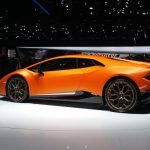 What all this does is combine to make Lamborghini’s “base model” a serious supercar now capable of hitting 0 – 60 mph in 2.9 seconds and 124 mph in 8.9 seconds, blimey! Flat out it’ll hit 202 mph. Any other mods and how much is it? 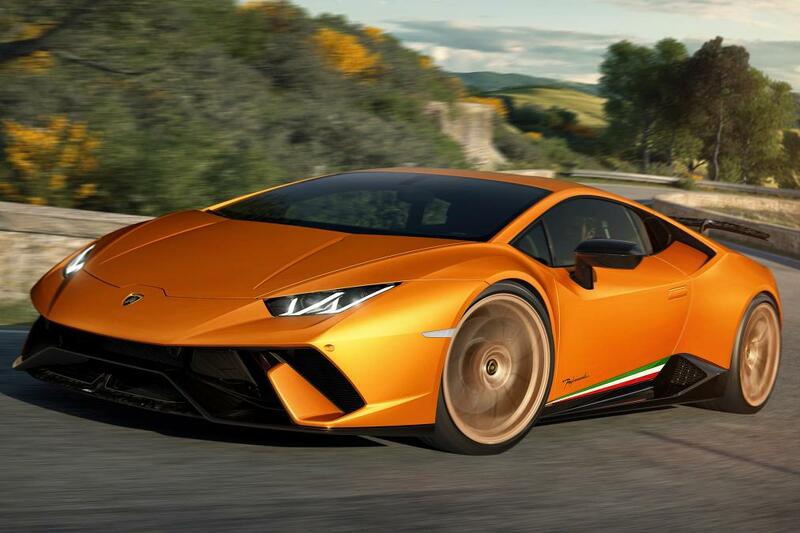 There’s big 20 inch wheels, forged of course for weight savings, and extra trimmings on the interior, forged of course for further weight savings. The centre console is now… forged, again for weight savings. 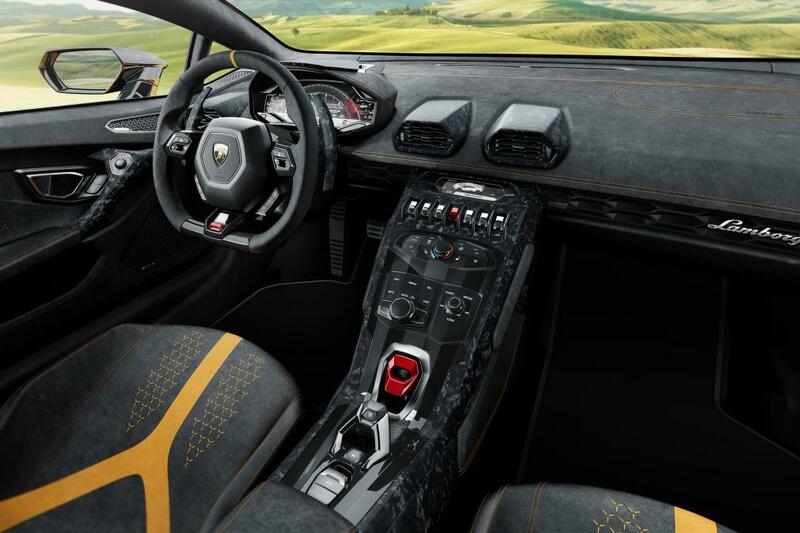 Basically a lot of the car is made from carbon, including the interior. A fancy digital instrument cluster now gives details on the new active aerodynamics and how they’re performing, for the true track junkie! 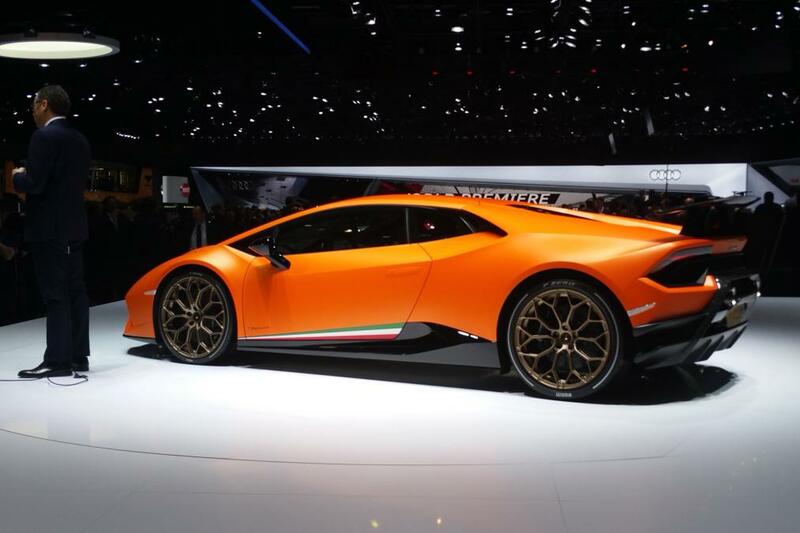 The price, all in, will be around £208,000 – around £50,000 more than the most basic Huracan. 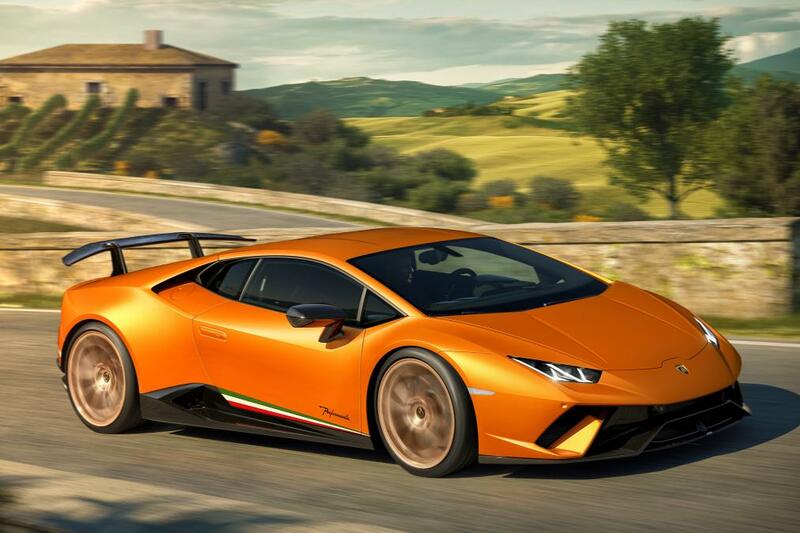 Although price is quite a jump from the RWD only model the car is a more modest £20,000 more than the LP 610-4 Huracan. Sure, captures from Geneva from Auto Express so credit to them. 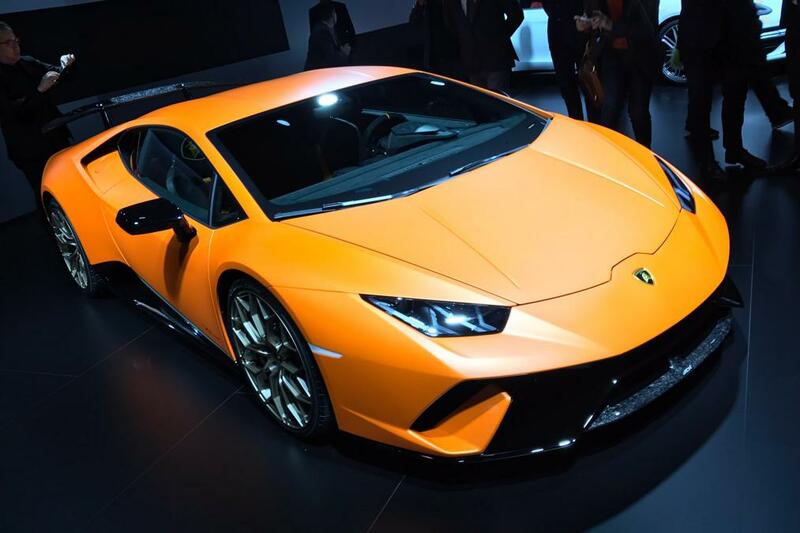 Enjoy and stay tuned as we cover more of the Lamborghini Huracan Performante.